Photography Day 42 is Done! Day 42: My friend Jeff and I were going to my Dad’s house in Woodbine, Ga. for a weekend of fishing, so, I decided to make the most of the drive and photograph as many locations of the March to the Sea as I could. We mostly followed the right wing for the trip. I was able to photograph 11 antebellum structures that were visited by Federal troops on the march. Three of them by Sherman himself. We started at Jarrell Plantation Historic Site where I photographed the plantation house. From here we went to Round Oak where I photographed the area around the Battle of Sunshine Church. Not technically part of the March to the Sea, but for logistical reasons I photographed it out of sequence. From Round Oak we drove down to Clinton, where I photographed several home. One of which was Kilpatrick’s Headquarters while the March to the Sea moved through the area. After Clinton, we drove a short distance to the Griswoldville Battlefield. This was the site of the only major engagement or battle along the March to the Sea. We left Griswoldville and headed toward Ball’s Ferry. Along the way we passed through Irwinton and Toomsboro. I photographed the river and surrounding area at the location of Balls Ferry. From here we traveled through Wrightsville and Kite and then made our way into Swainsboro, where we had lunch at the Crossroads Cafe. I had the Reuben and it was really good, but the best thing I had was their Chocolate Chip Toffee cookie. From Swainsboro we traveled north toward Midville where we took Ga. 17 east toward Millen. Along the way I stopped at several cotton fields to make images. Before Millen, we took a detour to a place called Birdsville. 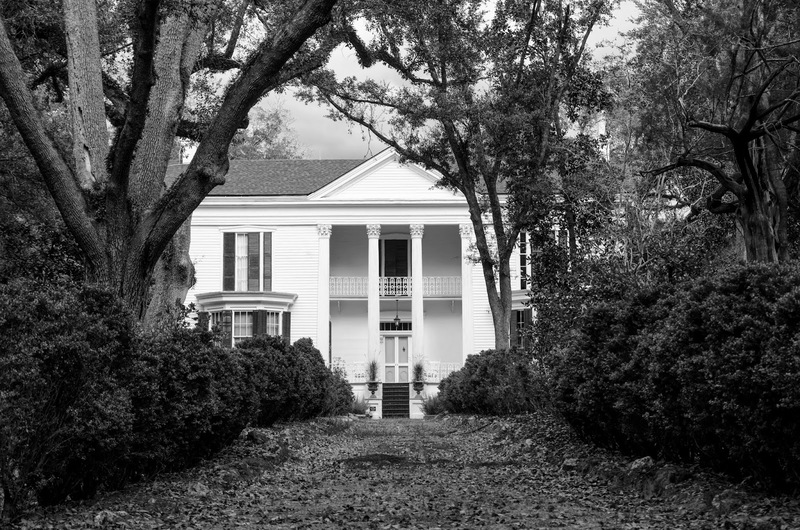 It is the site of an antebellum plantation that suffered tragically from the passing of Sherman’s Army. It is you classic plantation with the ancient Live Oaks overhanging the lane that leads to the front of the house. It was truly a beautiful location. It has been in the same family since the King granted them the land in 1785. From Birdsville we went to Buckhead Church on Buckhead Creek. After leaving Buckhead Church, we drove through Millen and then continued on Ga. 17 towards Savannah. Along the way we stopped to photograph the Little Ogeechee Baptist Church and then passed through Guyton and between Guyton and Bloomingdale, I photographed Zion Lutheran Church. All in all it was a very productive day and I turned what is normally a six hour drive in to a 12 hour drive. Below is an image of Birdsville Plantation. Author Clint BrownleePosted on October 20, 2014 April 21, 2016 Categories Birdsville Plantation, Civil War Georgia, Civil War Photography, Clint Brownlee Photography, General Sherman, March to the Sea, Sherman's Right WingLeave a comment on Photography Day 42 is Done!